Salesforce Trailhead is awesome. We can all agree with that. It’s robust. You get points for answering questions. It’s free. Though, most companies use multiple methods of training users because everyone has a unique learning style. Here’s why you need more than Trailhead to build an effective Salesforce training program. There’s never been a better time to launch Salesforce training for your users. 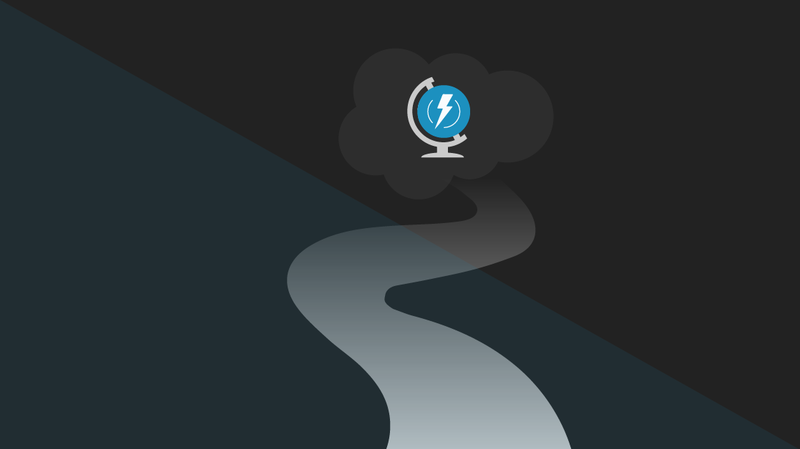 With everyone moving over to Lightning, it’s the perfect excuse to build out a training program that lasts. Moving your team over to Lightning is a big deal. Whether you’ve heard it or not, there’s a lot of anxiety around Lightning because the new interface is so different. Trailhead is a great resource for ongoing support but probably isn’t enough to alleviate those concerns. Your users will benefit from a structured training program that introduces new features and optimizes processes. To get everyone up to speed on Lightning Experience you’ll need a little more. That’s why Salesforce admins should take the time to train their organization on the new platform. Training should be an ongoing mission, not a one-off task when something big happens. Everyone learns a little differently. Some people learn best by reading. Others need to write down what they’re learning to retain that information. Listening is the least effective way to learn, experts say. Most people learn best by getting their hands dirty. The transfer gap is best illustrated with the familiar symbol of knowledge retention — the light bulb. Imagine someone sitting in a class, and the light bulb turns on. They understood a concept. But before the bell rings, the bulb starts to dim. Most experts agree that unless they use the knowledge, the light bulb will go out. That’s the transfer gap. It’s important to immediately start using knowledge — especially when learning a technology or platform. That’s why classroom settings for learning technical skills, like Salesforce Lightning, aren’t the most effective. Trailhead helps close the transfer gap because it’s accessible from the user’s workstation, which can be said about any online Salesforce training program. Trailhead is easy to navigate and implements a rewards system in the way of badges and points. However, it’s unimodal. In other words, it’s text-only — with a few interspersed images. That’s where Trailhead falls short. You’ll need to work with your users to create a comprehensive training program that immediately gets them hands-on with the product, feature, or process. Here’s why. In 1995, researchers studied groups of shoppers who were respectively presented with large and small assortments of jam. While people were attracted to the larger assortment, they were more likely to purchase from the smaller assortment. These researchers concluded that we’re attracted to the biggest selection, but then freak out when making a decision. There’s so much information on Trailhead. What’s missing is curation. There are Trailmixes, which combine modules, but there are 61 different options. As a Salesforce admin, you’ll need to help curate lessons for new, intermediate, and advanced Business Users — and, once again, take into consideration the way people learn. When curating, Trailhead is a great option. You should also consider including YouTube videos or CBT Nuggets Salesforce training. Videos are more effective at closing the transfer gap because they’re typically structured as step-by-step (or click-by-click) guides. Trailhead does a great job of showing how the platform works. It even has a robust library of help articles with step-by-step instructions. Support articles, however, only work when you know what you want to do. What if you’re brand new to the platform? It’s best to jump right in. Or hire an expert to train your team. For the latest Salesforce Lightning training, keep an eye on the new courses page.